Microsoft recently released the Surface Pro 4, building on its successful Surface Pro 3 edition. The Surface Pro 3, marketed as the tablet that could replace your laptop, was already a great product. It had the brain of a PC processor in the body of a mobile tablet. With the Surface Pro 4 there have been some key improvements. Many of these improvements are also available for new or existing Surface Pro 3 setups as after-market upgrades. What's New with Surface Pro 4? Erasable Surface Pen: It seems obvious in retrospect that a pen needs an eraser, and now the Surface Pen has one. The Pen replaces the stylus in past versions of the Surface tablet – but keep in mind that unlike the attached stylus available with past versions of the Surface, the Pen requires a battery. On the Surface 4, the pen attaches magnetically to the tablet. This is not the case with the Surface Pro 3, for which the Pen is an after-market purchase. The Pen also includes interchangeable pen tips, which is a nice feature. Surface Dock: Surface 3 and 4 can both be used with the Surface Dock. They plug in with a USB, providing access to several USB 3.0 and 4K display ports, and an Ethernet port. 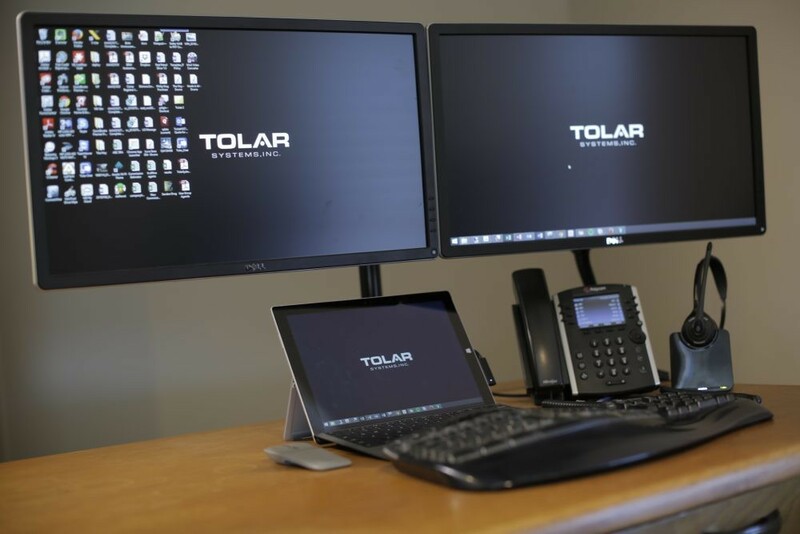 The docking station is what makes these tablets truly business-capable as they can be plugged into multiple monitors and a keyboard to create a more ergonomically correct workstation. This allows users to work more comfortably all day long. This is probably our favorite new feature since in the past we had to buy a separate splitter to set up multiple monitors for our clients. A larger, thinner, lighter screen: The screen size of the Surface 4 is bigger, thinner and stronger. The touchscreen is now an amazingly thin 400 microns, protected with Gorilla Glass 4 (stronger than the protectant used on previous models) to ensure it can withstand shipping without damage. Windows 10: All Surface 4 tablets come pre-loaded with Windows 10, delivering access to the enhanced collaboration capabilities of the latest Windows platform. Of course, the Surface Pro 3 remains a great product. Even better, with the new release its price has been reduced; entry level set-ups of the Surface 3 now start at around $599. Surface 4 starts at $899. Windows 10 comes standard with new Surface Pro 3 tablets. Existing tablets can be upgraded to Windows 10. Are you considering switching to a tablet instead of a laptop or desktop? Leave us a message on LinkedIn or Facebook – we’d love to hear from you.